“The entry door is the beginning of your journey through a house, ” says Southern California architect Craig Stoddard. “It’s the first part of the house that anyone going through the house looks at closely. Ideally it should emphasize the character of the house,” he adds. For new and old homes alike, the front door is a key focal point. 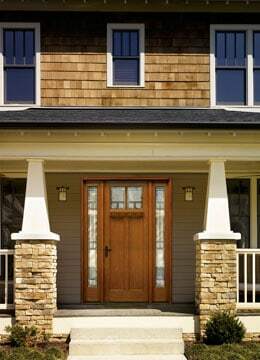 Unfortunately, because they are exposed to weather and heavy wear, entry doors often show their age prematurely. Most older doors are made from wood, a material that has the warm, natural look and feel that most people prefer but is vulnerable to the elements. Season after season of sun and rain eventually warp, crack and bow wood, as the sun’s ultraviolet rays break down wood’s natural lignin, and moisture repeatedly shrinks and swells wood fibers. As a result, when given enough time, wood doors give up the ghost. 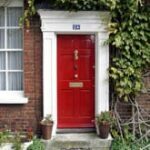 Luckily, entry and exterior doors have changed significantly over the past few years. 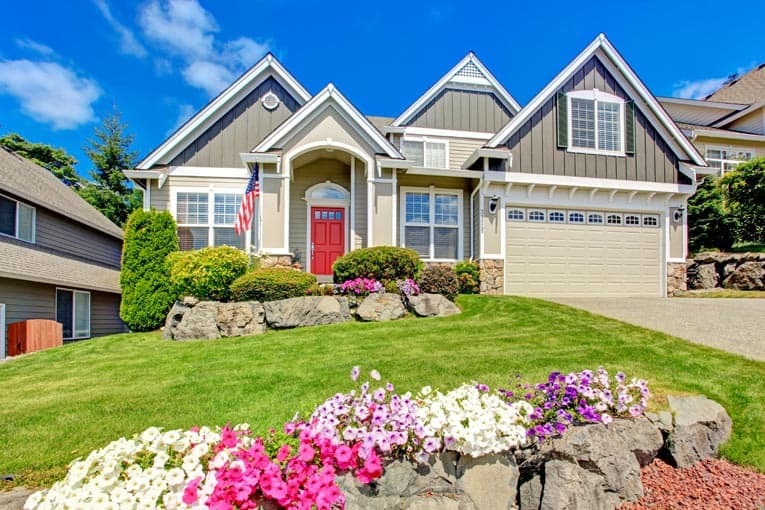 Homeowners may now select from a vast smorgasbord of options. Hundreds of types and sizes are available, from conventional wood models to high-tech alternatives made of fiberglass composites or steel to doors that incorporate a combination of these materials. One significant change with entry doors is that, unless you’re looking for a bare-bones door replacement, you can now buy an entire “entry system.” With an entry system, a door is pre-hung in its frame, the door’s bottom edge interlocks with the threshold, and weather stripping encircles the door’s perimeter. The hinges and lockset are designed as part of the system, and sidelites often flank the door. With a system, all components are designed and machined to work together reliably and energy efficiently. Another change in the door industry is that the lines that once distinguished one door-building material from another have blurred. A wood door isn’t necessarily entirely wood anymore. In fact, some wood doors have steel interiors, and steel doors have wood exteriors. A fiberglass or steel door may have a wood frame. And nearly any door may have a core of foam insulation. Even so, for the sake of discussion, it helps to consider doors according to their primary face material. 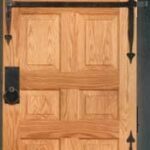 The choice of wood, fiberglass, or steel as a surface material has the greatest impact on a door’s appearance, cost, durability, and security. Nearly all doors, wood and non-wood alike, are termed either “flush” or “paneled.” Flush doors are flat and smooth on both faces. Paneled doors have rectangular recesses framed by horizontal rails and vertical stiles. Panel construction originated with wood doors to minimize cracking and warping by giving the panels enough room to shift as they expand and contract with changes in humidity. Doors with door lites have panel construction with one or more lites substituting for a panel or panels. For more about this, see Front Door Construction. Doors are available through millwork shops, door manufacturers, lumberyards, and home improvement centers. Most manufactured doors are made by a handful of large companies; Premdor and Jeld-Wen, for example, own several smaller or regional door makers that each construct a particular type of door. These companies, in turn, ship to local distributors and dealers. When replacing an existing door, measure the door’s actual width, thickness (normally 1 3/4 inches) and height (normally 6 feet, 8 inches). 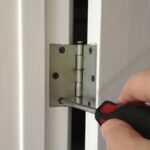 If you’re buying a complete entry system and intend to replace the jamb as well as the door, measure the thickness of the existing jamb, from the inside of the exterior molding to the inside of the interior molding (this equals the wall’s thickness). Stand inside, and note which side the knob is on. If the knob is on the right, you have a “right- hand” door; if it’s on the left, you have a “left-hand” door. 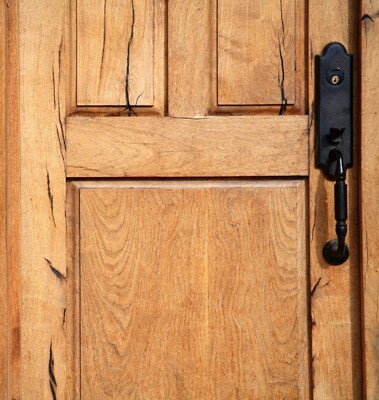 When buying a wood door, look for high-quality woods, durable finishes, and careful detailing. As a rule, the more intricate the carvings and moldings, and the thicker and wider the stiles and rails, the better the door. Nord’s high-end models have 1 3/8-inch panels; lesser priced doors have 9/16-inch and 3/4-inch panels. If you’re considering an entry system, be sure all the components are from the same manufacturer; many systems are assembled by distributors, and their parts may not be designed to go together. Be sure all weatherstripping seals tightly and the threshold interlocks with the door’s bottom edge. High-quality steel and fiberglass doors have a thermal break—an insulated separation—that prevents outside cold and heat from being conducted through the door’s skin and frame (with a fiberglass door, this break may simply be the wood frame). This is a must for cold climates; otherwise, frost may form on the door’s inside surface. Even if it costs you a little more, a high-quality door is sure to pay you back with smooth operation, energy efficiency, low maintenance requirements, and a great look for years to come. 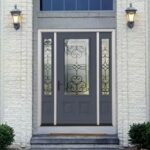 If you’re considering a glazed entry door, you’ll have many glass options to choose from, including clear glass, etched glass, beveled glass, leaded glass, and many other ornamental glazings. 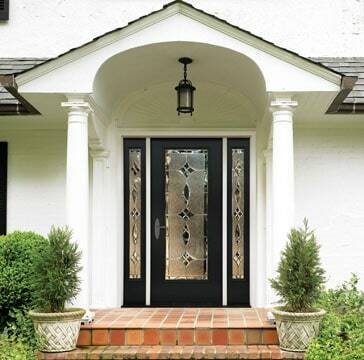 Glass for doors runs the gamut from plane panes to elegantly leaded and beveled varieties. The windows in doors are generally referred to as “lites” or “lights.” Lites may be standard single glazed, or for greater energy efficiency, they may be dual glazed, or even triple glazed. High efficiency glazing may also utilize low-e or other energy-efficient coatings. For maximum light, consider a door with a large glass area. For privacy and security, opt for one or two small sections of glass or decorative glazing that obscures the view into your house. If there is a possibility of ultraviolet (UV) damage to floors, rugs, and furniture, consider choosing a glazing that resists UV rays. Our recommendations: Look for dual, low-e glazing and be aware that, if the window is leaded, real lead (or brass) caming (the lead bands between adjoining glass panes) is more expensive than false caming. Keep security and safety in mind. Some glass, such as Pease-Shield by Pease Industries, is highly resistant to breakage. For more about the many types of glass available and how to select the right one, please see Window Glass Buying Guide.